NOTHING WILL STOP THE BRADFORD DILLMAN BLOGATHON. I am extremely sorry about the utter lack of Millie around this blog lately. I've been having a CRAZY January. My computer crashed with an awful virus (Oscar is okay now). I got my driver's license (FINALLY), but not before I had an epically awful driving test -- which definitely may have involved the State Patrol. Assorted other craziness occurred. Last weekend alone, I attended a wedding, a funeral, and a birthday party. ALSO last weekend, I had friends from Sierra Leone visiting. And then. The storms came. I haven't left my house since Monday. I haven't had power since Wednesday (I'm at my sister's house for a few hours right now). My college has been closed down all week. IT HAS BEEN INSANE. And no fun. I love a good storm. REALLY. Wind and rain storms are absolutely lovely. I'm not quite as a fan of snow, but when it cancels classes for a few days -- that's fun. HOWEVER, BEING TRAPPED AT HOME WITH NO INTERNET. THIS IS NO FUN. NO FUN AT ALL. I'm literally gonna kill my entire family very soon. Anyway, without internet, I was extremely agitated. One, I couldn't find out if the Poe visitor showed up -- HE DIDN'T :'(. And two, I was worried about the blogathon. Don't worry. It's still happening. Apparently, I put the wrong dates on the announcement. It was SUPPOSED to run from the 20th - 23rd, but I put the wrong dates up. The blogathon OFFICIALLY starts tomorrow and then you all can start posting (and sending me the links). I already know of a few planned posts and they are gonna be AWESOME. I'm excited. I'm not sure if I'll have power tomorrow, but I'll definitely have it on Monday at school. If you need a place to start in your Dillman appreciation, check out this post from last year. It has a few links that might be helpful. I CAN'T BELIEVE THAT 2011 IS OVER. THIS IS CRAZINESS. I CAN'T HANDLE THIS. Anyway, because I am so proud of myself and the fact that I've managed to keep track of nearly every film I've watched this year (I'm know a few were missed here and there) -- I am going to subject you to a month-by-month recount of my favorites. Now, I started the year doing this every month, but er, um got a little forgetful/busy/etc/etc/etc. SO, I'M DOING IT NOW. I'm gonna go month-by-month with my favorites/least favorites and then later (probably tomorrow), I'll do a post on my absolute favorites/least favorites of the entire year. In January, I listed I Love You Again and How To Succeed in Business Without Really Trying as tied for favorite. I haven't seen either since, and it feels terribly wrong that an entire year could have passed since I watched both (IT'S BEEN A WHOLE YEAR?!). But, both were lovely and quite deserving of their place. Also deserving was my least favorite, They Came to Cordura. I can't remember anything about it, except Michael Callan getting struck down by typhoid and Rita Hayworth's attempts to continue to be a goddess throughout the awfulness. I think my mind has put up a permanent block on this movie. I gave four films five stars and three films four stars. That's a pretty good average (the final new film got three stars). Those five starred films were A Man Could Get Killed; To Sir, With Love; A Letter to Three Wives; and Ask Any Girl. I truly liked each one. I CAN'T CHOOSE. For least favorite, I would probably choose The Cowboy and the Lady. I liked it. But, it rather bore me. Also notable in February? Village of the Giants. I still have NO idea what was going on. No idea. SERIOUSLY NO IDEA. It was brilliant. Ahh, March. You were wonderful. I still remember the movies I watched very clearly. There were, comparatively, so many new films. And, SO MANY WEIRD ENDINGS. Once again, I listed my favorite film as a tie. This time between You Must Be Joking! and The Blob. And my choice for least favorite was Palm Springs Weekend. Who let Troy Donahue be in movies? WHO?! And of course, there was that movie that killed David Janssen off in the last five minutes. DAAAAAAVVIDDDDDDDDDDDDDDDDDDD! I LOVE YOU FOREVER! And, well, this month also had so many crazy movies and it was awesome. Wow. I still remember this pathetic month. It was Doctor Who's fault (aka it was the Tenth Doctor's fault [aka it was Sarah's fault]). It has an episode for Agatha Christie dorks! HOW COULD I RESIST THIS SHOW?! My favorite film in April was The Bat. I will quote my reasoning: "The Bat. It wins by default (as in I only watched two other new films and they both annoyed me). ALSO: IT HAS VINCENT PRICE. That's always cool." So yeah. My least favorite film was Duel in the Sun. The evilness was all-consuming. May introduced me to The Attack of the 50 Foot Woman. Oh, and worst movie of the month went to Endless Night and Hywel Bennett's creepy haircut. And I also went to see Pirates 4 (better than the last two put together. DEFINITELY) on opening night (because why not? ;-D). June started off splendidly with a six-starred film: Ring of Fire. You may recall that this was the glorious film starring David Janssen and glorious Washington. 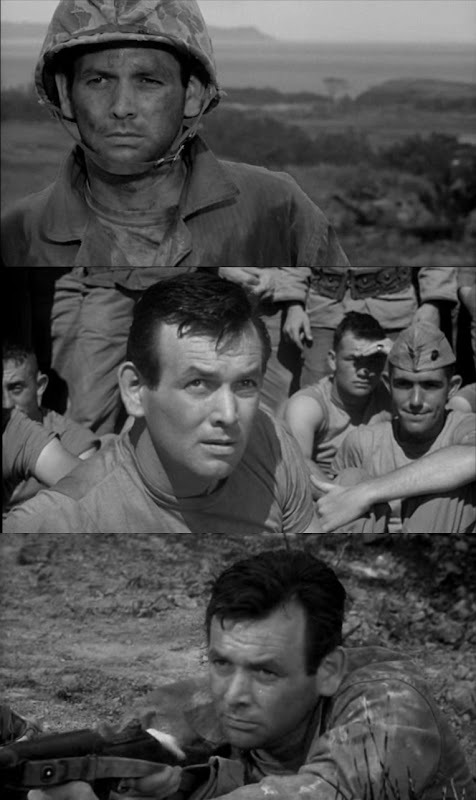 Smushing photos of David Janssen into this post.... LIKE A PRO. June went humming along quite steadily, with a good mixture of new films and re-watches. I particularly enjoyed the brilliant acting in Goodbye Again and Pressure Point. And I enjoyed, the admittedly quite stupid, Strange Bedfellows. And then came Jessica. The movie was supposed to be just a bit of pleasant mind-smushing entertainment. But, the story made me ANGRY. And then Maurice Chevalier was playing a singing priest and I really couldn't handle that. And Angie Dickinson was vespaing her way around '60s Europe and that made me insanely jealous. AND THEN. Gabrielle Ferzetti. The man who became my Italian obsession. The man who forced me to leave the innocuous awesomeness and the good, solid acting of early June -- and plunge myself deep into '60s Italian depressingness THAT I STILL DON'T BLOODY UNDERSTAND. L'Avventura, Le Amiche...it all came and went. And then, I suddenly couldn't take it anymore. It was if my entire being rebelled against Michelangelo Antonioni and his never-ending symbolism. I went back to mind-smushing entertainment at an increasing pace. 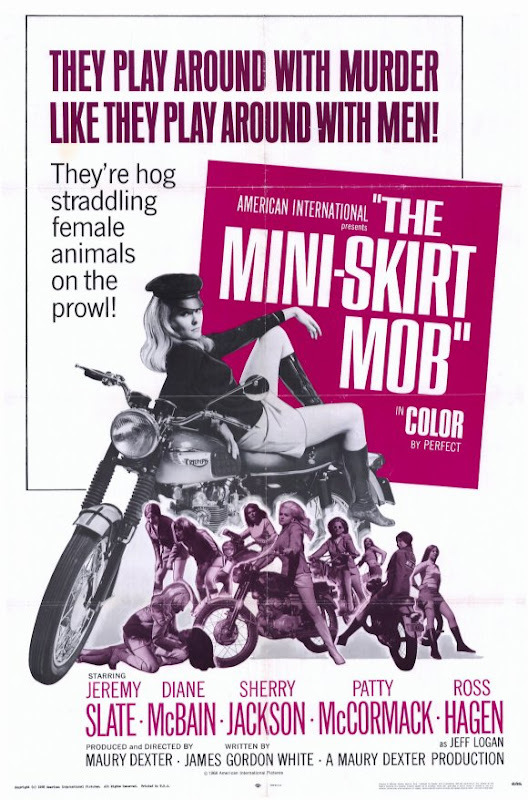 I ended the month with, just possibly, the worst film ever created: The Miniskirt Mob. June was an awesome month. Look at Roger Moore's fake mustache. And then there was the long-overdue viewing of Blackboard Jungle. PERFECTION! And, well, then came North & South (technically a miniseries, but I DON'T CARE ;-D). All the time that I meant to spend packing for my trip to Africa was actually spent sitting on my bed eating Doritos and watching this. I REGRET NOTHING. And Night of the Iguana. Ava Gardner is such a goddess. That's literally all I remember about it: Ava Gardner being a goddess. There was also the wonderfully, wonderful Evening Primrose. I can't even begin to describe its awesomeness, but if you want a little description -- check out Sarah's post on it! THIS MOVIE IS A LIFE EXPERIENCE YOU NEED TO HAVE. OH. And Thirteen Ghosts. I hesitate to bring up this film that scared my friend and I so bad we kinda stopped it and didn't finish it until the morning. IT'S TOO EMBARRASSING TO ADMIT. And July ended with a couple of movies from the flights from Seattle to Toronto and Toronto to London. Air Canada, I kinda hate you and you kinda lost my carry-on bag with all my clothes in it and yeah. BUT YOU HAVE A BEAUTIFUL SELECTION OF ENTERTAINMENT CHOICES. Joel McCrea on my own individual screen? ALWAYS RIGHT. There weren't a LOT of films in August because I was in Sierra Leone for the first half, but that didn't stop me from seeing some lovelies in the second half. I watched three never-before-seen Hitchcock's (Rope and Under Capricorn finished off the 40s for me and Topaz leaves me with just one unwatched 60s Hitchcock). They weren't my favorites (Hume! I love you, but PLEASE STOP WRITING MOVIES FOR SIR ALFRED! ), but they still had brilliant Hitchcock moments (that one shot of the murder in Cuba was STUNNING). And, really, Ingy + Joseph Cotton + Michael Wilding. Wow. 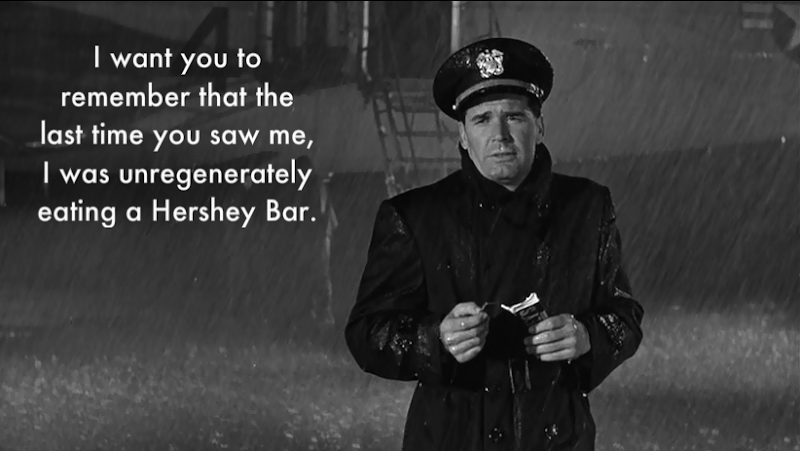 "Apparently, I was supposed to be sad about the tragic love story or feel sorry for Gene Kelly's pathetic, nonredeemable, and completely creepy character? All I cared about was Wally and his awesome glasses (the only reason this is even getting three stars)." Near the end of the month, I had to make the awkward admission that I had seen Girl in Lover's Lane twice in 24 hours. BRETT HALSEY, GUYS. Brett Halsey. The start of my senior year. Craziness. Anyway, favorite movie of September is another tie! 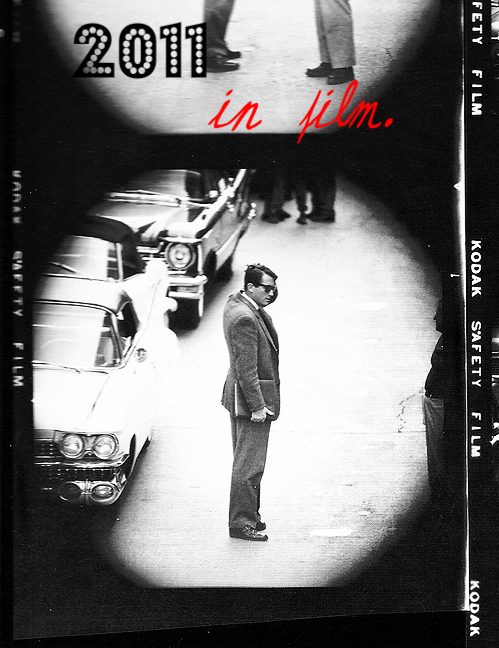 I adored the low-key, but exceedingly awesome A Touch of Larceny. I have to say that this movie restored all faith in James Mason. He was PERFECT in it. Almost TOO perfect. I also adored the decidedly unlow-key Compulsion. Bradford Dillman smiled evilly. 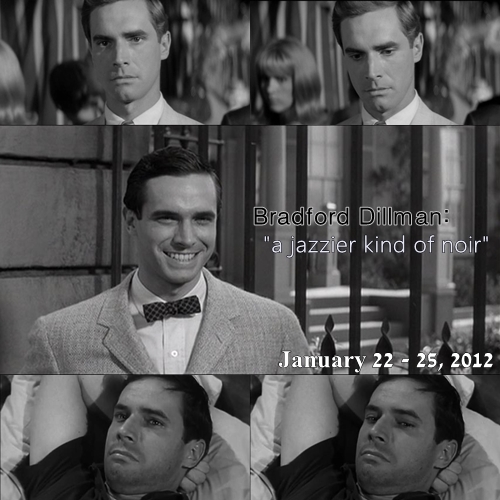 Bradford Dillman danced the Charleston. BRADFORD DILLMAN TALKED TO A TEDDY BEAR. I also finally got around to watching Green Berets (my least favorite film of the month). Depressing. But, hey, at least David managed to get out of a war movie alive for once! And this brings our Janssen photo count up to six. Oh yes. HOW WAS I SUPPOSED TO NOT POST THIS PHOTO?! Not much happened in October. In fact, I can literally not remember ANYTHING that happened in October. Seriously. Now, I'm starting to freak out. GUYS, WHAT HAPPENED IN OCTOBER?! ANYTHING?! Well, I do know that I watched a brand-new '40s Bob Hope movie: They've Got Me Covered. That was my favorite of the month and I guess the highlight of October as a whole (I really don't know). I was particularly excited about this because I have a original movie poster for it that I purchased at an antique store several years ago. It was simply wunderbar to finally see the movie itself! My least favorite of October was Water Horse, I guess. Just because it was so sad. Come Blow Your Horn was an awesome, orange Sinatra fest! And Francis of Assisi was just weird. Favorite: Third Finger, Left Hand. It was one of those slightly forgettable, but perfectly wonderful and charming and lovely '40s comedies. I also rather liked, oddly enough, Jane Eyre. Anyone who knows me well, knows that I am a committed Bronte hater. I unfortunately made my old co-op Brit Lit teacher's life miserable with my lengthy discussions on the awfulness of everything connected with Jane Eyre. She got back at me though by forcing me to relive painful experiences by re-reading Tale of Two Cities, which contains one of my top five literary characters that I am in love with. SYDNEY CARTON, I LOVE YOU FOREVER! I've always rather championed the Orson Welles' version of Jane Eyre, simply because I adore Orson Welles and because it angers all the Jane fans I'm surrounded by (my mum; a couple of my good friends) heh heh heh. But, I truly liked this new version. It was actually light and bright and awesome. And Michael Fassbender played Rochester PERFECTLY. If you've ever read the book, then you know that Rochester is a total drama queen (he dresses up like a gypsy fortune teller woman just to bloody find out if Jane likes him or not, for goodness sake!). Fassbender played him like a total drama queen. IT WAS AWESOME. Not much else happened in November (besides lots of Christmas movies). I was a bit preoccupied with BBC's Robin Hood. I may or may not have watched the first two seasons (because the third does not exist) twice through in less than two weeks (the second time, I watched the two seasons straight through with a bunch of friends over a twenty hour stretch during Veteran's Day break. This is not recommended). My least favorite film of the month was Much Ado About Nothing. It was stupid and changed the ending. WHO CHANGES SHAKESPEARE?! Favorite film: oh, um, TIED AGAIN. Actually, these two films are very special and both are also tied for favorite 2011 release! Hugo and The Adventures of Tintin. Hugo was one of those "Oh my gosh! It's so beautiful that I feel like I'm gonna die and this is why I love movies and look how perfect this and I just want to cry because I relate so much and film is so wonderful" experiences. It was spectacular. I was EXCITED about about a Tintin movie, but wary because I really do NOT like Spielberg. At all. And, unfortunately, I've never forgiven Spielberg for his part in two different complete rip-offs of personal favorites. One, Disturbia was a complete copy of Rear Window -- but at least that one was noticed. And two, Monster House is the exact copy of an episode of The Wild Wild West (even down to certain plot details and images). THAT ONE MADE ME ANGRY. But, yeah, this has nothing to do with Tintin. Sheesh. Tintin was lovely and awesome and Spielberg gets fives stars -- just for not ruining my childhood. Also, I watched State Fair '62. It was highly disappointing (My Darlin' Darin was perfect though, of course). Has this obsessive fangirling gone too far? *No. I don't. I'm lying.